Why should your team be navigating the city streets from a Bike Share Toronto seat, you ask? In Toronto’s busy cityscape, professionals are turning to active transit options to meet their transportation needs – including flexibility, affordability and accessibility. 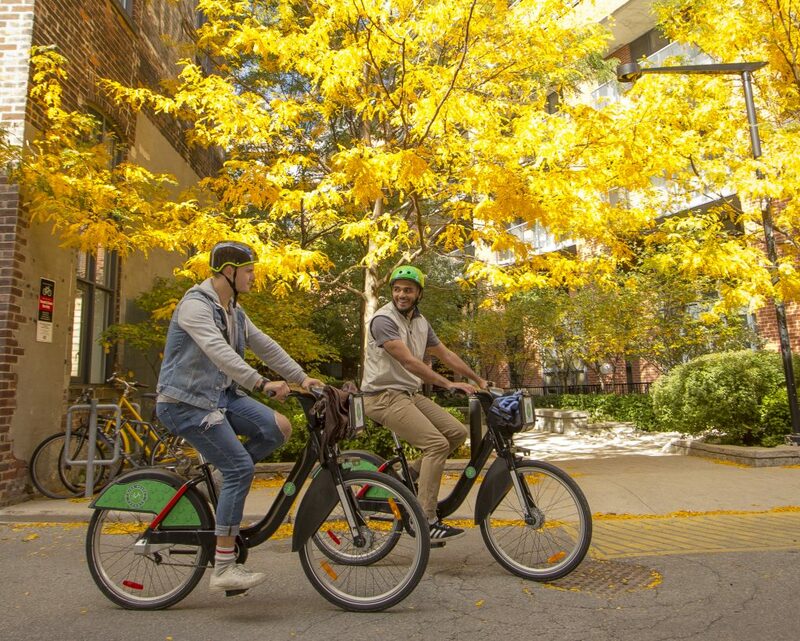 Biking has quickly become a popular choice for Torontonians for many reasons – from fast, direct commutes to going green and living a healthy lifestyle. 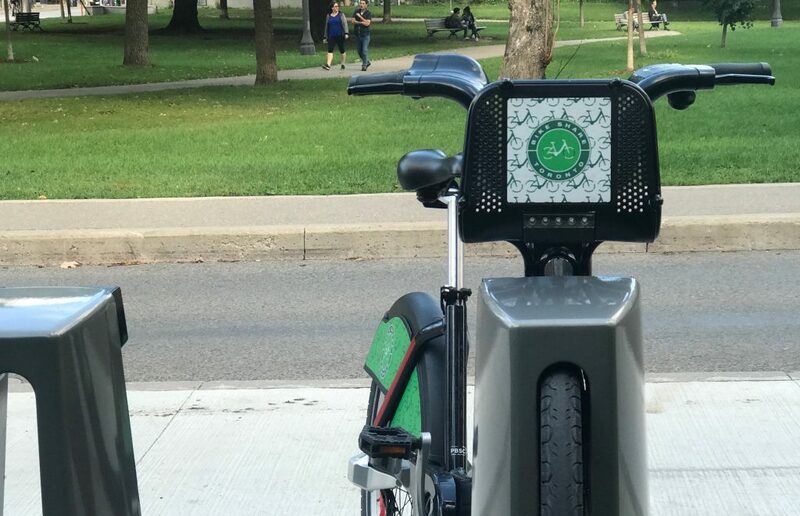 With so many advantages of integrating cycling into your daily routine, a large percentage of the city’s workforce are turning to Bike Share Toronto as a great means of transportation. Looking to reward your employees? Build company culture? Promote an active employee lifestyle? 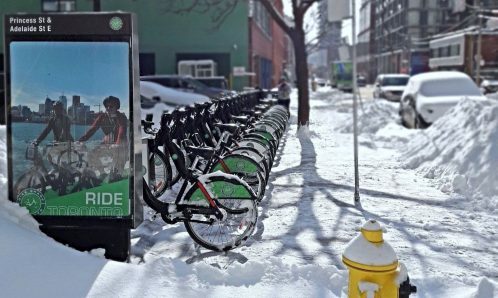 Bike Share Toronto’s Corporate Membership Program fits the need! 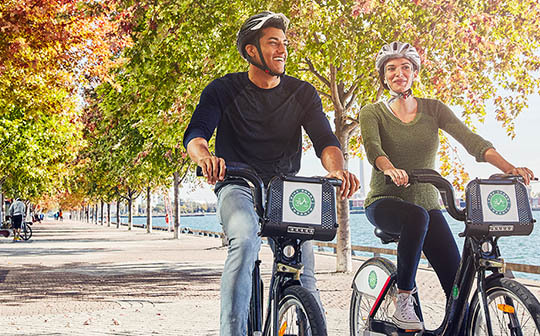 Discover the many benefits of getting your office riding with Bike Share Toronto’s discounted Corporate Membership Program. 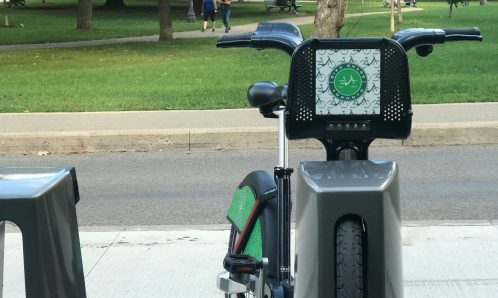 Bike Share Toronto’s Corporate Membership Program gives you access to the system at a lower price! Get your office riding at a discounted rate of $90 per employee, with a buy 5 get 1 free deal. That works out to less than 25 cents a day, with access to bikes 24/7/365 spanning 75 square kilometres and 40+ neighbourhoods. Discover how your company can take advantage of this incredible deal here. Anyone who works in Toronto knows how busy the city streets can get during rush hour, making for a slow commute. 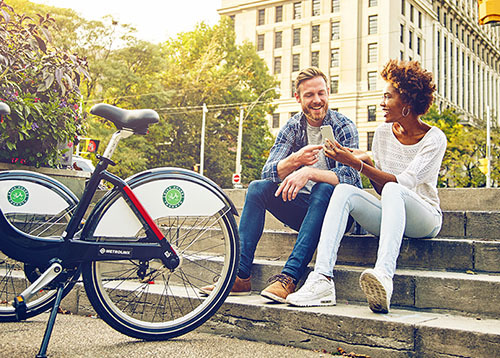 With over 360 stations spanning 75 square kilometres, Bike Share Toronto is an efficient alternative when navigating the city. Whether you are commuting, grabbing lunch or heading to a meeting, hop on a bike and skip the traffic. Cycling can improve employee productivity! Studies show that exercising before work raises an employee’s productivity by an average of 15%. Give your team a brain boost and encourage active transportation to and from the office. The daily work grind can cause unwanted stress in the workplace. 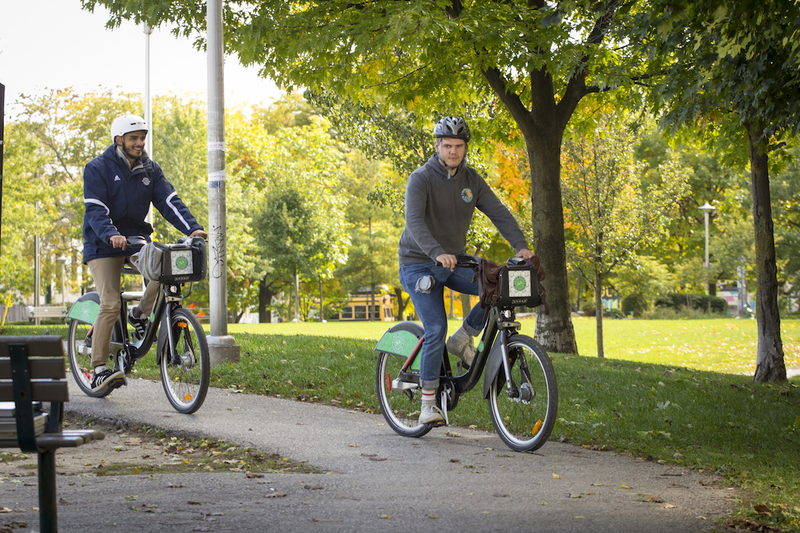 Whether an employee is in need of a stress reliever, a mood booster or an anxiety reducer, Bike Share Toronto may help! By increasing levels of serotonin, dopamine and brain-derived neurotrophic factor, cycling is a proven mood stabilizer. Did you know that 74% of greenhouse gas emissions comes from road transportation? Trading the car for a bike or shared mobility is an easy way to go green. 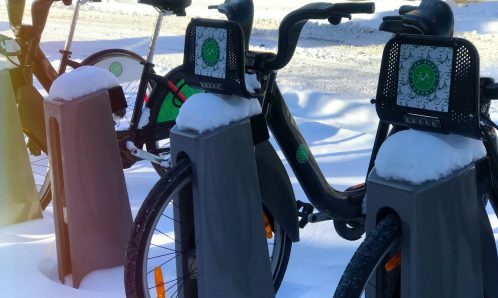 Lower your office’s carbon footprint by encouraging employees to ride with Bike Share Toronto year round. Last, but certainly not least, our Corporate Membership program boosts company morale! 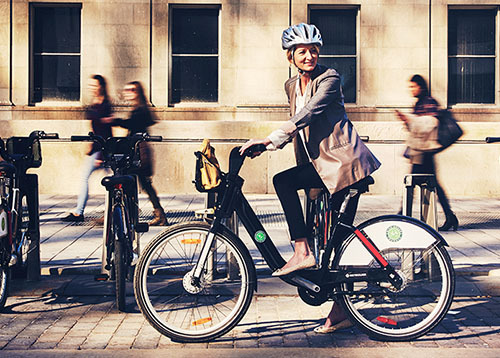 Whether used a benefit or reward, Bike Share Toronto memberships make for a happy employee. Build a better workplace culture by giving the gift of biking.